Jerin Charles pleads guilty to 3 counts of Purse snatching. On March 7, 2017, Jerin Charles, 26, entered a no contest guilty plea to three (3) counts of Purse Snatching. Judge Michael Canaday sentenced Charles to 20 years Department of Corrections on each count, concurrent to each other and consecutive to his current probation/parole violations. April 1, 2016 at the Dollar General store on Prien Lake Road; April 5, 2016, at the Dollar General on 4th Avenue; and April 5, 2016 in the parking lot of Old Navy, all in Lake Charles, Louisiana. In all three incidents he approached the female victims while they were in the parking lot and demanded their purses and wallets. 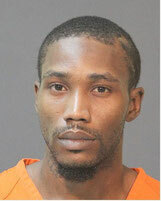 Detective Willie Fontenot with the Lake Charles Police Department investigated the case. Assistant District Attorney Daniel Vermaelen prosecuted the case for the Calcasieu Parish District Attorney’s office.